Within Teamwork Projects, project items you create have a unique ID number associated with them, which allows you to identify and locate these items very easily. 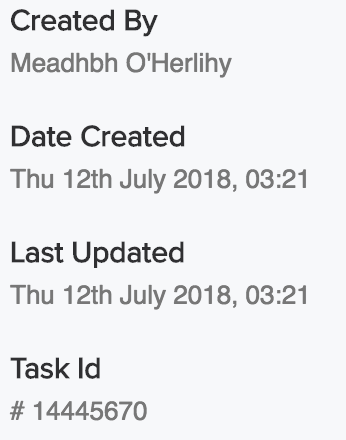 You will see the task ID number to the right of the created date and time stamps. Note: Do not include the # when searching by ID.